The secret ballot gives voters the chance to pulp punditry and polls on a scale which we see only very rarely. As the scale of the Conservative victory became clear, thousands of tons of paper, millions of words and many hours of talking heads onscreen were trashed and forgotten as those speculations collided with facts. The media makes two rapid adjustments. The language of permanent coalition politics and all its complexities goes back into cold storage, to be replaced by a more usual discussion of cabinet-making on the weekend after voting. And perhaps for the next election or two, “neck-and-neck” polls will not dominate horse-race coverage as it has this time. Politicians and journalists should recall their own biases as they make fun of the poor pollsters. Politicians like “neck-and-neck” because it gets out the vote; editors love a close race because it makes a better story. Both groups over-invested in a convenient description. A miserably dull and rigidly-controlled campaign which never tested economic pretences and evasions nevertheless produced a surprising and decisive outcome. British politics will now be dominated – until the next general election in 2020 and most probably beyond – by the transformed politics of Scotland. The prediction that the SNP would wipe out the Scottish Labour Party at Westminster did turn out to be right. Despite the fading influence of 'the press', the election campaign was not marked out as the 'digital', 'online' or 'social media' election. During the campaign, many metropolitan reporters travelled north of the border and were surprised to discover what an interesting place Scotland is. Other reporters will now tread the same path, whether there is a second independence referendum or not. As this parliament unrolls, Scotland’s position inside the United Kingdom will become entangled with the now inevitable EU referendum in 2017. One prediction about the media’s election can be made with complete confidence: the argument about malign media influence working against Labour will revive. A large majority of national newspapers came out in favour of either the Tories or the coalition. Some of the slants and omissions were inexcusable. The Sun will be slated for both cynical hypocrisy (coming out for Cameron in the south and for the SNP north of the border) and bias. On the bias charge, it should be noted that the Mirror was no better in its anti-Tory stories which, the Media Standards Trust noted, were slightly more numerous than The Sun’s in the other direction. In truth, each one was as bad as the other. When the old and familiar arguments about the press barons ricochet, bear the following facts in mind. By any measure – total viewers, reach, time spent – the largest single source of news on elections or anything else is the BBC, whose political neutrality is one of the most strictly regulated in the world. Labour governments have managed in the past to be elected despite the “Tory press”. And while online and printed newspapers may provide broadcasters with agenda and tone, the circulation and clout of national newspapers is in steep decline. Online media have added to the gaiety of the nation at election time... Anyone producing a large tablet on the campaign trail should expect to be mocked up as Moses. But despite the fading influence of “the press”, the election campaign was not marked out as the “digital”, “online” or “social media” election. Online media enlivened coverage and produced graphics which explained the intricacies of minority governments, but they did so alongside television. Party leaders debates began with a huge chorus of leaders which produced a stiff and incoherent discussion and finished with party leaders being roasted by voters. That last television debate actually produced the “passion” which party leaders talked about and failed to generate. The passion felt by those voters in the studio was mistrust and dislike of the political class. At a late point in the campaign, YouGov was reporting net negative ratings for all plausible government coalitions. In one important respect, online media have added to the gaiety of the nation at election time. Fast visual jokes are now shared in huge volumes at great speed. Ed Miliband both enjoyed and suffered from this new pastime. Anyone producing a large tablet on the campaign trail should expect to be mocked up as Moses. The fact that Labour did not extend its appeal beyond its heartlands and core vote was a strategic mistake for which Miliband is responsible; but his own campaigning improved his image. The Daily Mail “revealed” that Miliband had gone out with a number of glamorous, high-profile women before he married. This boost from an unexpected quarter for “Red Ed’s” rather earnest style started a social media “Milifandom” meme. 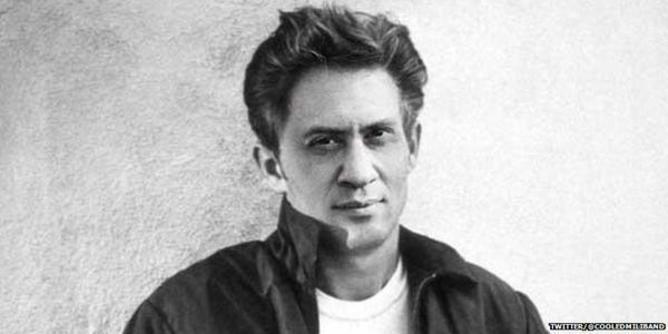 My personal favourite was the Labour leader as James Dean. Twitter and other instant social media perhaps featured less than expected because there was no big gaffe to go viral. They say that army generals are always fighting the last war; politicians are the same. Campaign bosses were terrified by a re-run of a catastrophic moment of unintended authenticity. In 2010 the worst of those was Gordon Brown’s “bigot” moment; whatever divided the big parties, they all wanted to eliminate that risk. Live encounters with unscreened voters were left to minor parties with neither the wish nor the resources to handpick audiences. The laurels for the best media coverage go to the sites and publications which steered round the national horse-race preoccupations which are the default options for lazy newsrooms. Bored by motionless poll numbers, small teams could zoom in on local struggles as pavement level. On many occasions, news media newcomers thought more imaginatively and reported in more detail than the older newsrooms more inclined to think in familiar templates and formulas. Politico, which only began publishing in Europe as the campaign began, ran a terrifying piece by Ben Judah on being roughed up by heavies at a meeting run by George Galloway’s campaign in Bradford West. The New Statesman ran excellent blogs and began detailed profiles of individual constituencies impressively early. No one who had read any of this material from a site and magazine which came out for Labour could have been surprised by the inroads which Ukip made into the Labour vote. Scotland generated a majority of the best gags. A campaign which generated so little news, drama or facts was a severe test for writers with the thankless task of summarising it. The Financial Times made a very smart move by giving that task to their commentator Janan Ganesh, who managed day after day, to say something worth reading in a very few words. The best raw material for reporters who wanted to do something original was in Scotland. There was tragedy: the long narrative arc of the Labour Party neglecting and taking for granted the loyalty of its voters over many years and the vengeance of those same voters in 2015. Scotland produced some fine analytic reporting: the actual spending figures from the SNP’s period in power in Scotland showed a prudent, perhaps even austere, party in government. Pointing this out made not a dent in the SNP’s entirely successful claim to be the only hope of defence against the villainous architects of austerity in London. Fact-checking does not always puncture rhetoric or fantasy. 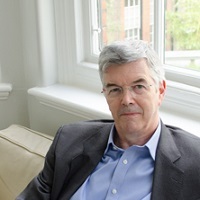 George Brock is Professor of Journalism at City University London. This article was originally published on The Conversation. Read the original article.